Creepy, Kookie and Wow! G&SMCS’s Addams Family. I am continually impressed by the work put in by Simon and Emma Thomas-Boddy in their various companies, delivering a terrific musical theatre performance experience for literally hundreds of young people over the years. 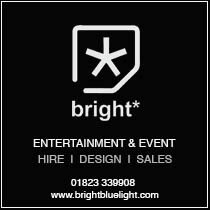 Ages of performers range from the very youngest through to adulthood and all must benefit hugely from the confidence and self-assurance that being part of a full-scale production brings. 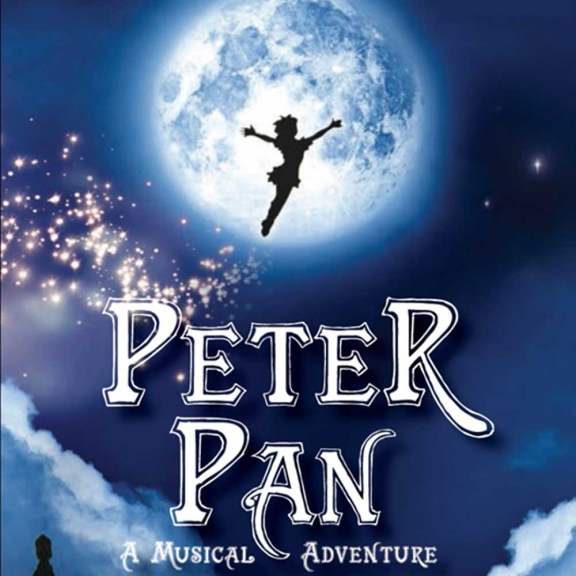 Peter Pan: This wonderful fairy-tale first saw the light of day in a 1904 production and it has been a delight for children and adults alike ever since. The enduring appeal of exotic scenery, children able to fly, a crocodile intent on devouring the villain and a disembodied fairy has been triggering the imagination of children for the past centaury and more. Barrie’s original sub-title for his ‘dramatic fantasy’ was ‘The Boy Who Hated Mothers’, subsequently changed to ‘The Boy Who Wouldn’t Grow Up’. And thereby hangs the reason why the story’s most accessible version is in pantomime form which mutes the darker elements of the original, transferring Peter’s ‘jealousy and possessiveness’ to his alter ego, Tinkerbell. Indians and Pirates were in themselves ‘dramatic’ concepts a century ago but not so much nowadays given youngsters’ access to multimedia technology. Barrie’s ‘fantasy’ thus needs to be underlined if the musical is to avoid being a pantomime. It is a tough task, since ‘panto’ elements are present in this libretto, sub-titled ‘A Musical Adventure’, an apt sub-title since the source has spawned many pantomimes and a junior version and as it happened, I have had the privilege of watching all three forms. This script poses a particular problem for a director of a Musical since much of the libretto is virtually identical to that of the pantomime. The themes are the magic of story-telling, the fantasy of human flight, the jealousy of ‘Tink’, good versus evil in the motherless Lost Boys versus the pirates and the inevitability of growing up and loss of innocence. The artistic success thus depends on delivering the magic, emphasising the conflict between boys and pirates and the production of an ‘aaaah’ ending. I would be interested to see how this was presented at the lovely McMillan theatre. There were some very attractive and clever design elements immediately on show as we took our seats: A high, attractively decorated crossover walkway above the upstage, some interesting street lights (which would subsequently be pushed over to transform into the Darling childrens’ beds) and a great projection on the cyclorama of a flying pirate ship silhouetted against a mysterious moon. The projection would become animated throughout the show, setting scenes and adding great finishing touches: a skull and cross bones flag fluttering atop a mast, a golden clock ticking away the time. The overall ‘look’ worked well. A pleasingly populated auditorium of proud Mums, Dads, Grannies, Granddads and other adoring family members eagerly watched the performance. The huge cast of youngsters clearly enjoyed their moment in the spotlight: singing was enthusiastic as was the dance element of the show. The adult members of the cast worked very well: Alison Houselander (curiously missing from the program) as the Narrator who would eventually be revealed as Wendy in her mature years, was as ever, spot-on and Gethin Pye gave us a lively Smee. Jack Thomas-Boddy as Hook is beginning to show some real talent as a Musical Theatre performer (certainly one to watch for the future); Amy Perkins looked just right as Wendy as did Chloe Brine as Tiger Lily. Young Aniyah Cooper was utterly charming as Tinkerbell and the two Darling boys Michael and John played by Xaan Stockham and Joe Newell showed good confidence. Millie Parker-Stephenson, who gave it plenty of energy and punch, took the title role as Peter Pan. These are young performers who will not forget the experience quickly and I hope, will grace the stage for many years to come. I must admit to wondering about the wisdom of attempting ‘flying’ for this production: I have seen the concept approached in several ways including the children on stools in front of a projected backdrop (particularly effective). Given the great projected images in this production I would, perhaps have preferred to have seen the Darlings and Peter on the elevated crosswalk ‘flying’ in front of the screen as the practicality of the harness and rope set-up used was a little lacking in magic for me. Rehearsal time in the theatre is, I would imagine limited so perhaps simplifying the ‘magic’ is inevitable. There is great pleasure in seeing a large group of young performers ‘going for it’ and the certain knowledge that some of them will go on to even greater things on the stage in the future. YMTC: Keep up the good work! Copyright © 2019 Somerset Fellowship Of Drama. All rights reserved.